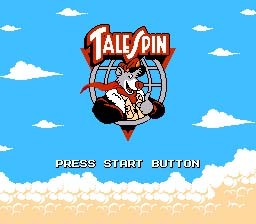 Tale Spin was a spin-off series based on characters from the animated film The Jungle Book. Baloo the Bear stars as an ace pilot in an air freight company called "Higher for Hire." Louie the Ape plays a bartender, and Shere Khan plays a business tycoon whose unethical tactics put him in contention with Baloo and his company.